Wellington X3488 VR-H set off from Mildenhall on the evening of July 28th for a raid on Hamburg Germany. Piloted by the man who's nickname would become the squadrons given name, a pilot who had started flying at age 18 He joined the RAF eight years before the war broke out. His flying expertise had been used as a test pilot at Farnsborough, where he gained the Air Force Cross for his outstanding work as a test pilot. 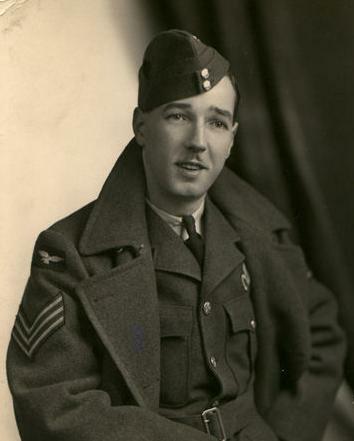 A DFC for his courage and work at operations was awarded him at the beginning of the war. His airmanship would help to save an aircraft and crew in April of 1942 after a raid on Kiel. A full moon was in the sky along with enemy aircraft on the return trip, one attacker shot up the Wellington, one blade of the propeller was gone the rear gun turret shattered leaving the gunner wounded. Bravely F/S Edward Alexander, although wounded himself, managed to free the rear gunner from the tangled remains of his turret and move him to a safer location. Meanwhile W/C Fulton was fighting to keep the aircraft from crashing into the North Sea. He cut the power to the damaged propeller's engine and flew the aircraft just above the waves of the Sea, on reaching land he had to restart the damage disabled engine and fight the heavy vibrations to hedge hop home to a belly landing. It should be mentioned that Sgt. Alexander in addition to releasing the injured air gunner ( no mention is made of which gun position) also managed to Navigate the aircraft back to base with all the instruments shot up. For their work W/C Fulton received the DSO and Sgt. Alexander received the DFM. But this was a different night with a different, tragic ending. Sgt. 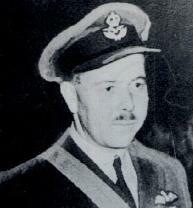 Harley Dell had already finished his tour but volunteered for one more sortie. Reading directly from the Operations Log "Our Commanding Officer Wing Commander John Fulton failed to return from this operation. A message received read "Fighters ..wounded..500" the assumption is that 500 was 500 feet. A fix obtained, gave his position as approximately 10 miles off the Frisian Islands. W/C Fulton was a most popular leader and the gloom in the squadron is beyond expression." One week later W/C Fulton's DSO would be annouced in the London Gazette for his contribution to the Keil operation of April.